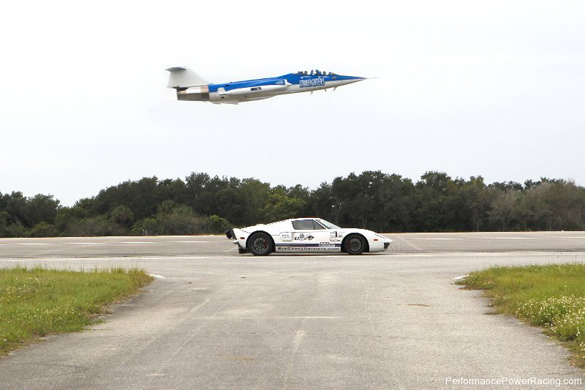 The standing mile, for many years now, has been a highly competitive event for those willing to push their exotic car to the limit on closed airfields across the United States of America. 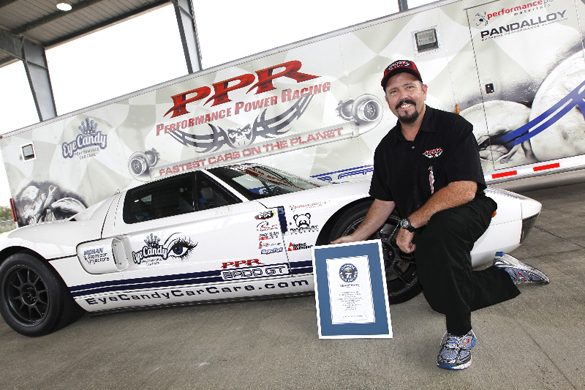 Not only do enthusiasts set out to see how fast they can get their sports car or exotic up to within the full distance of a mile, but very few make it a point to set the Guinness World Record. 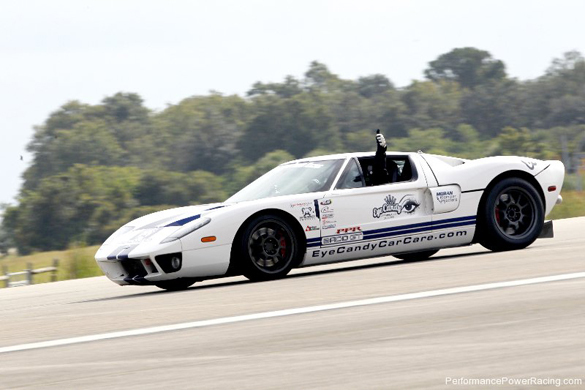 One particular Performance Power Racing Twin Turbo 2006 Ford GT took home the record at 283.232 mph at Kennedy Space Center over the weekend. The standing mile requires participants to start from a dead stop and accelerate to their hearts content through a one-mile mark. At the mark the vehicle’s speed is recorded. There is no doubt that this is a horsepower battle and the Ford GT to take home the new world record has plenty of it, about 1,700 horsepower. Another astonishing point about this ubber-fast Ford GT is that it is still street legal and has working air-conditioning to boot. We know what you are thinking, this car is faster than the Bugatti Veyron Super Sport. Yes, you would be correct to make that point, which is probably why Bugatti is introducing a “SuperVeyron” with 1,600 horsepower – More on that in another post!